Jury selection began Thursday in the case against a Massachusetts man accused of murder in connection with the killing of an Oakfield man in an apparent drug-related robbery nearly two years ago. Marcus Asante, 23, of Fitchburg, Massachusetts, has been charged with murder and robbery in connection with the fatal shooting of Douglas Morin Jr., 31, on Oct. 16, 2016. Two other individuals, Tia Leigh Ludwick, 24, and Darin Goulding, 32, both of Leominster, Massachusetts,, were charged with the same crimes, according to court records. 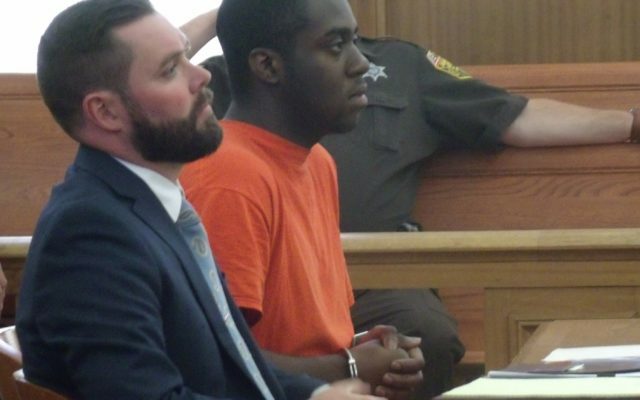 Jury selection for Asante’s trial is expected to continue into Friday with the trial expected to start on Tuesday, Nov. 13, an Aroostook County Superior Court clerk said Thursday. Assistant Attorney Generals John Alsop and Donald Macomber are prosecuting the case. Asante is being represented by Attorneys Brian Kelley and Adam Swanson. Justice Harold Stewart II is presiding over the trial in Aroostook County Superior Court in Houlton. In September 2017, Asante appeared before Stewart to request new attorneys, but the judge turned down the request. Asante also decided during the hearing that he would no longer fight attempts by the attorney general’s office to collect his DNA and fingerprints for analysis. His attorneys had objected to the prosecution’s requests. During previous court proceedings, prosecutors and relatives of the victim described Morin as a truck driver and dedicated family man who was very close to his younger sister and young niece.